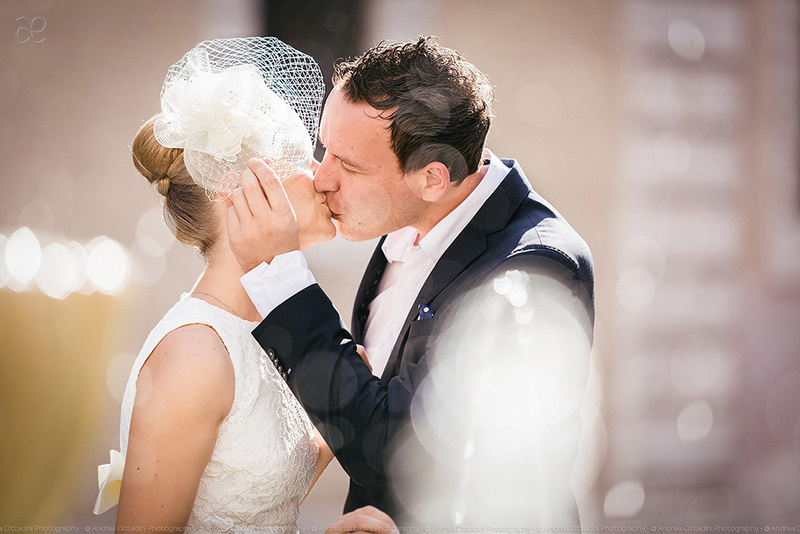 I would like to share with you my experience working with this wonderful international couple: she is from Russia and he is from Germany. 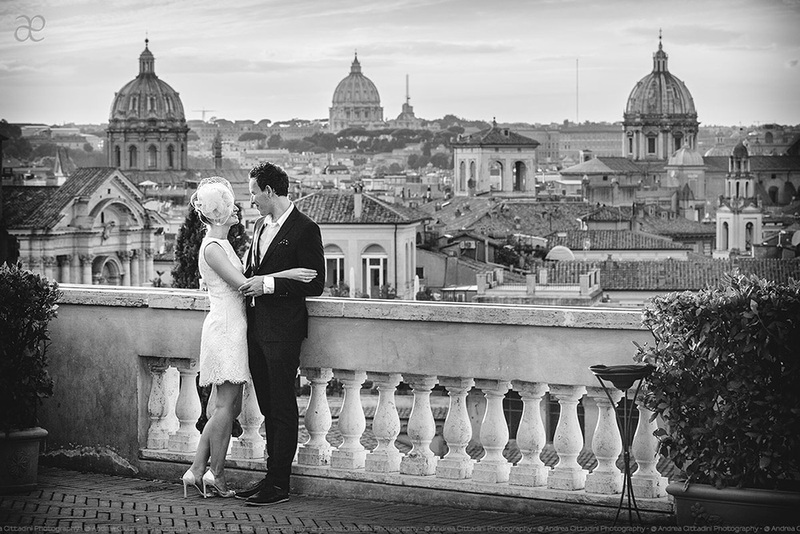 It was an engagement photo shoot in Rome. I came to their hotel to prepare my client: she had a vintage-style dress and a hair accessory, so we decided to do an elegant updo hairstyle and a vintage photographic make up with eyeliner and natural lips. 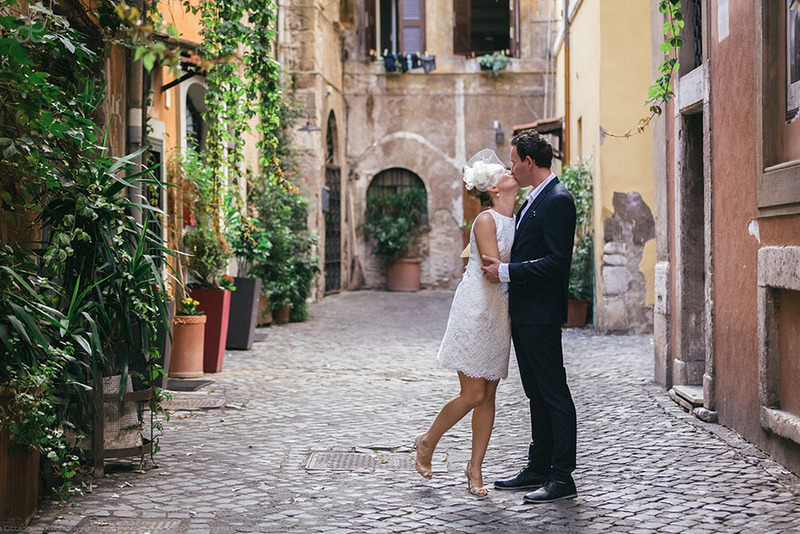 The photo shoot took place in different locations: in the beautiful narrow streets of Trastevere, in the Orange Garden, in Circo Massimo and on the terrace of the Capitoline Museums.